Volunteering in our communities is a big part of what we do. From donating to food banks, to patrolling our waters and supporting children and veteran’s groups, volunteering is a great way to give back and to spend time with family and fellow members. It’s part of membership beyond the water. America’s Boating Club members understand the importance of giving back to their communities by promoting boating safety and lending a hand where needed. We take our responsibility to our neighbors seriously. Sharing our skills and knowledge benefits everyone, even non-boaters. Boating safety education is at the heart of why America’s Boating Club exists. We offer a wide range of educational experiences for both novice and experienced boaters through comprehensive courses and short seminars to help you become a better, more confident boater. A good day on the water can turn bad quickly. As more people discover the joy of boating, and boat sales continue to grow, now more than ever – boating safety matters. With more than 350 squadrons supported by nearly 30,000 members, America’s Boating Club, United States Power Squadrons, has trained millions of boaters. That’s pretty impressive, but our mission doesn’t stop there. MMSI (Maritime Mobile Service Identity) Registration Modern marine radios feature Digital Selective Calling (DSC) that enables automated distress hailing through an MMSI number. This is a life-saving must. We provide MMSI registration for free. Vessel Safety Checks A free yearly vessel safety check (VSC) is an important safeguard to a safe day on the water. There are no consequences if your boat doesn’t pass. Our goal, in partnership with the U.S. Coast Guard Auxiliary, is simply to make boating as safe as possible for you, your family and your friends. 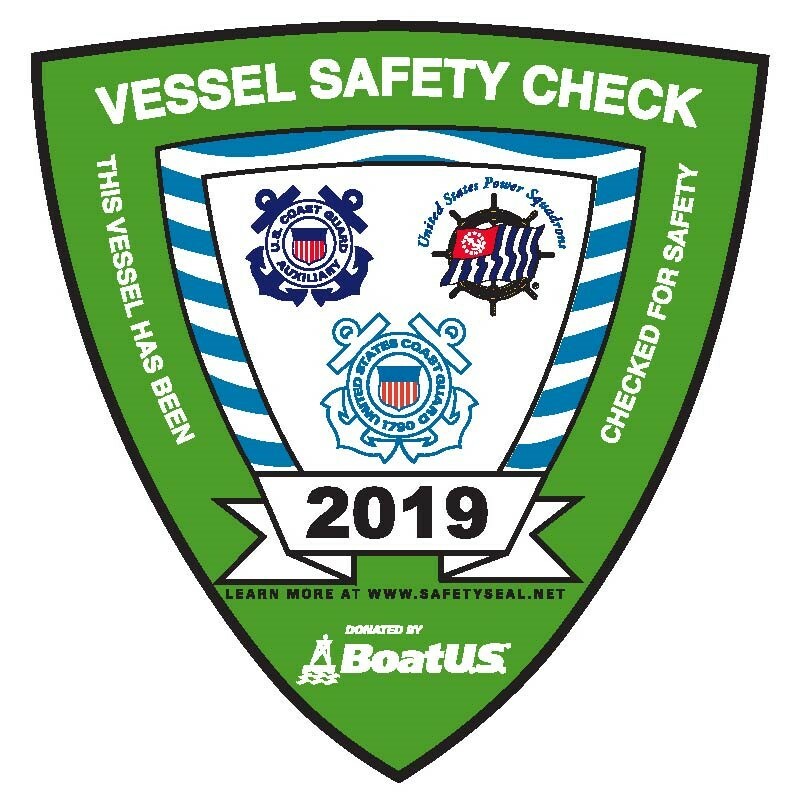 Click here to schedule your vessel safety check. Cooperative Charting A major public service, our Cooperative Charting Program has been called the most effective user-participation program in the federal services. Through our nautical reporting program, we supply information to a host of agencies, including the National Oceanic and Atmospheric Administration (NOAA), leading to corrections to nautical charts and Coast Pilot publications. Port Captains With expert knowledge of local waters, our Port Captains provide information, reliable advice and camaraderie to fellow members, especially visitors, welcoming them to the neighborhood. Click here to see if there's one near where you are going. SERAT Many fire and police departments lack sufficient water resources to respond to water-based emergencies. Our Squadron Emergency Response Assistance Teams (SERAT) furnish boats captained by boaters skilled in small boat handling and navigation. Teams provide support during emergencies, parades and other events.